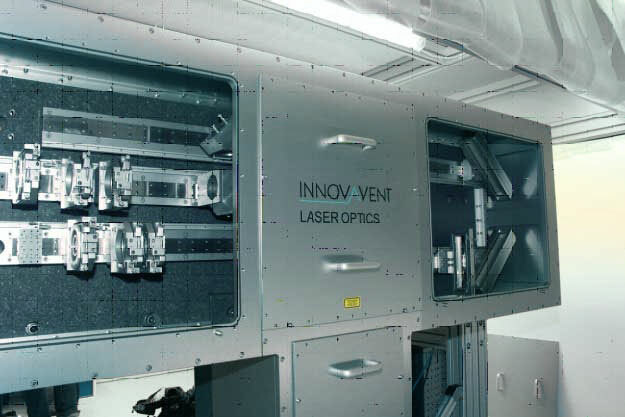 The VOLCANO® 100UV Laser Optics is built into a solid granite structure. 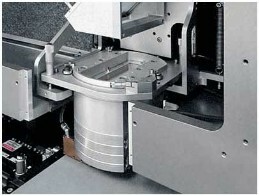 The beam is homogenized into a 100mm long line beam with a typical width of 20 - 30µm. 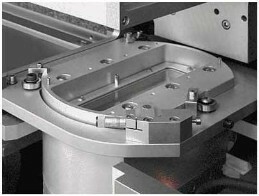 The FALCON 100UV projection lens assures a uniform line width and the large depth of focus which trouble-free production requires. A single TruMicro 7370 laser (180W, 10 kHz, 15-17ns) provides 18mJ pulse energy and gives an energy density of more than 400mJ/cm² in a 30µm FWHM line width, respectively the width can be expanded to 80µm for 150mJ/cm². Using a typical scan pitch of 50% of the FWHM the scan speed goes up to 400mm/s. Alternative laser sources operated at 355nm can be applied as well. 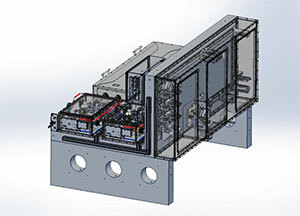 However, the longer pulse duration of 50-70ns requires increased process energy density. 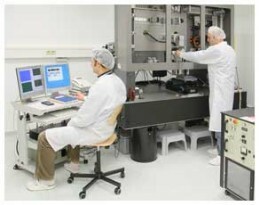 Laser-Lift-Off processes are in use in the electronics industry for the production of flexible OLED displays for TV products, smartphones, smartwatches and tablet computers. The OLED display is manufactured on a flexible polymer foil on a glass substrate. 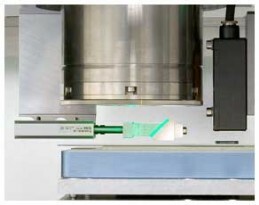 The final polymer foil with the OLED display is lifted off the glass using the UV laser line. Other line sizes and other configurations on request.